Rihanna jetted out of JFK internationl airport on November 5th all bundled up from the cold. It’s unclear what her destination was but we can talk about her love of the Vetements x Alpha Industries collaborations. She must own every single color and style of these bomber jackets. 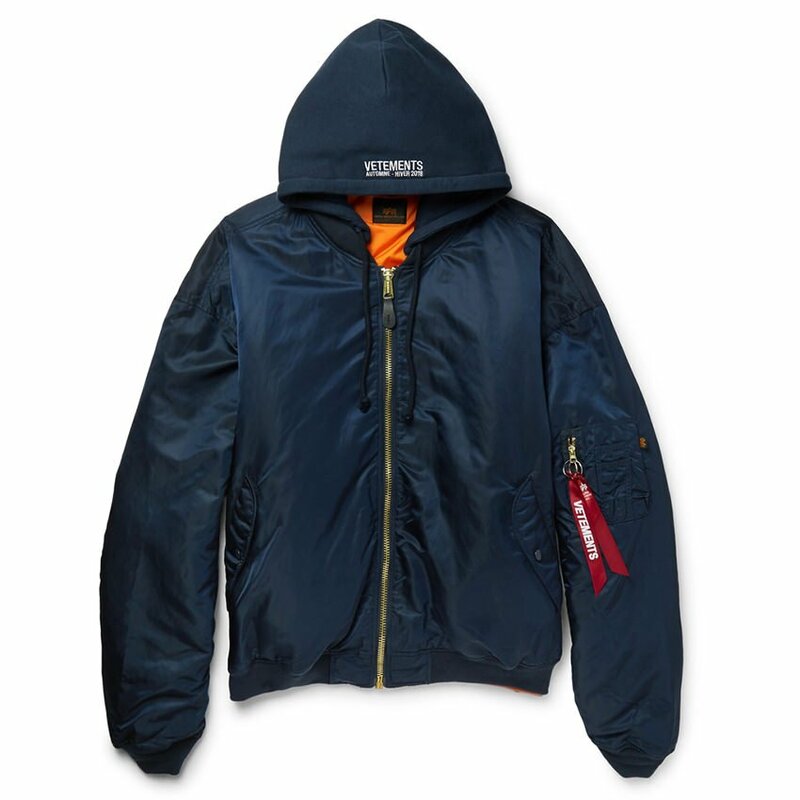 The latest one is this padded shell reversible bomber in navy ($2,080). The phrase “Vetements Automne-Hiver 2018” is printed on the drawstring hood (that’s French for Fall/Winter 2018). Like all jackets from this collab there is a “remove before flight” tag attached to the sleeve pocket. Since it’s reversible you can turn it inside out and wear it on the bright orange side. She must also own these Palace Skateboards sweatpants in every colour. This is the third time she’s worn the Basically a Jogger pant in recent weeks. It features an elasticated waistband and the Palace logo on one leg. The Barbadian beauty sported her favourite boots of the moment. 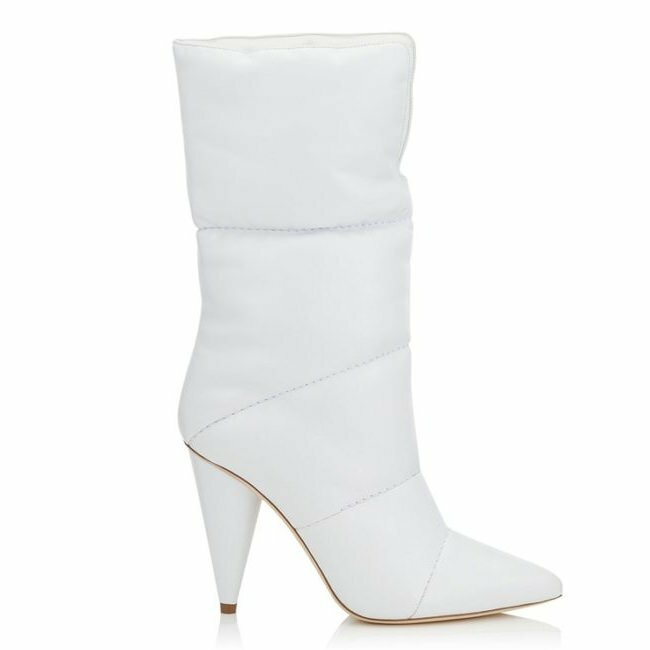 These are the Spring 2018 Off-White x Jimmy Choo padded boots. Thanks to Rihanna’s influence expect these to sell quickly when released next year. Rihanna rarely leaves home without a Dior handbag and this time she opted for the brand’s Oblique saddle bag. 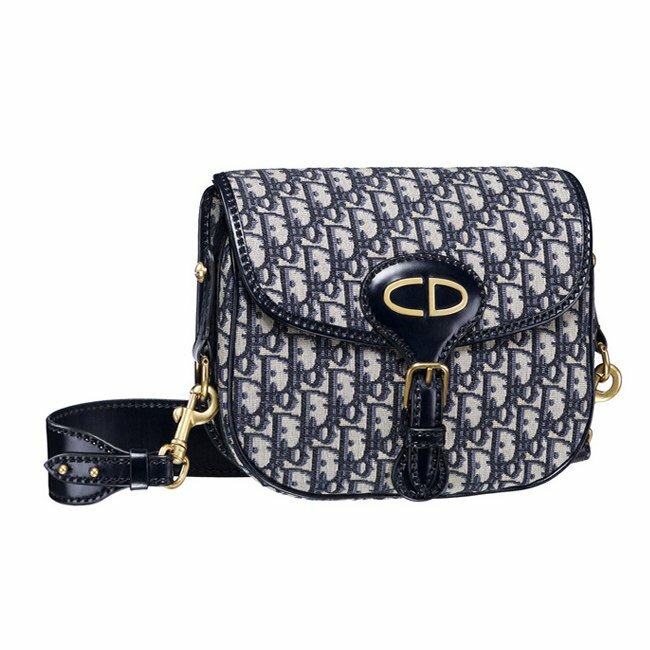 It boasts a monogram print, a wide shoulder strap and gold hardware. Update: Rihanna wore a pair of Andy Wolf‘s Jan sunglasses in white. 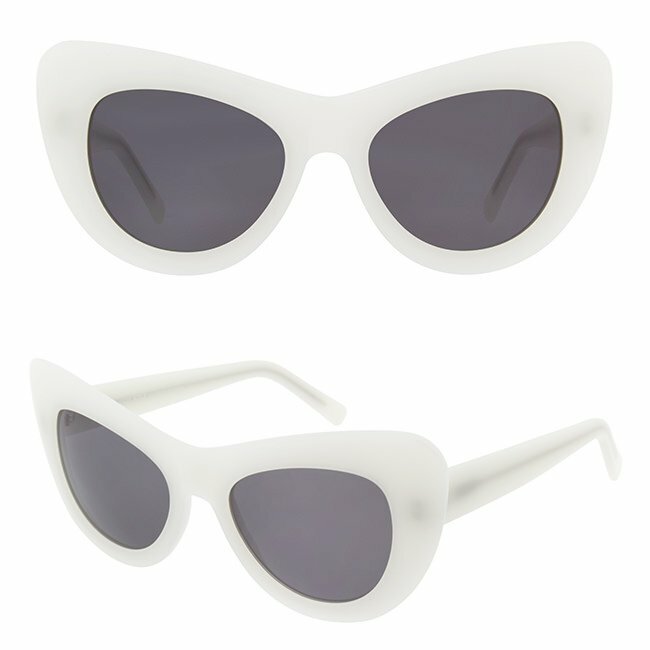 The cat-eye shades, which retail for $350, feature an oversized frame and black lenses. In other photos from the airport you might spot this Fenty x Puma bag. 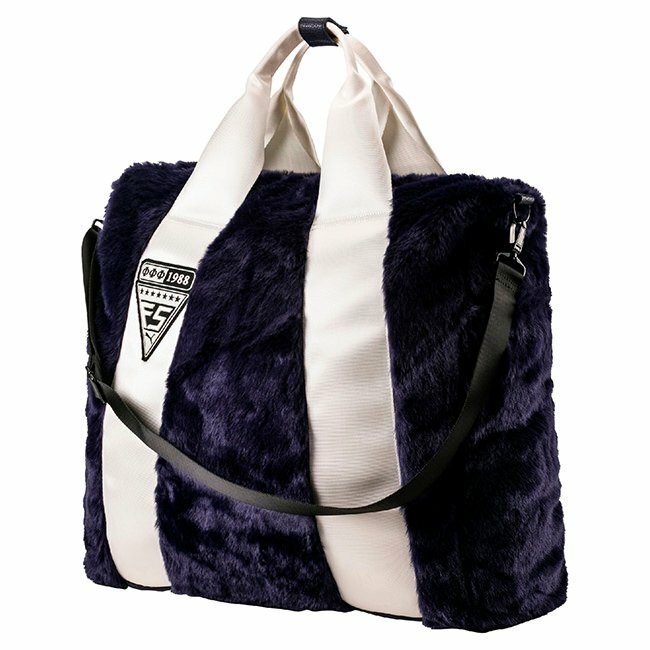 The furry oversized shopper has a laptop compartment and different straps so you can switch up how you carry it. Get it here for $350.